5.1.1. OPTIMA 2747 organizes auctions under the conditions specified in these T&Cs. The term ”auction” used herein shall not be confused with official auctions (organized by authorities), nor public sales (sales with the personal appearances required of the parties, as defined in Section 4 Point 6 of the Government Decree). The term “auction” is used herein as an equivalent of competitive selective process based on price, and complies with Section 6:74-76 of the Civil Code. 5.1.2. Multiple auctions may run at the same time, but not concerning the same Pigeons. The Customers may participate in more than one auction at a time. An auction is identifiable by its own name and its duration (starting and ending time). 5.1.3. Unless otherwise specified in this Section 5, the provisions of Section 4.4 and 4.5 are respectively applicable regarding auctions organized pursuant to this Section 5. 5.2.1. OPTIMA 2747 announces the auctions and publishes the information concerning them on the Website 48 hours prior to the start of auctions in question. - the starting bid(s) on the Pigeon(s). 5.2.2. The announcement of the auction does not constitute a legally binding offer. Such announcement shall be deemed as an invitation to treat. 5.3.1. During the auction, in addition to the information displayed at the publication of the auction (see: Section 5.2.1), the currently highest bid (current bid) is also displayed on the Website concerning each Pigeon involved in the auction. If the Customer is logged in, he/she/it may see also his/her/its last bid(s). 5.3.2. The Customer may submit a bid by clicking on the “Bid” button. The Customer acknowledges that each bid is irrevocable and that he/she/it may not amend or correct it after submitting it, even if submitted in error. By submitting a bid, the Customer places a legally binding offer for the Pigeon. The offer becomes ineffective if a bid higher than the Customer’s bid is submitted. The Customer undertakes full liability for all bids submitted by him/her/it, including but not limited to his/her/its ability to pay the bid at the end of the auction. 5.3.3. The Customer may only submit a bid higher than the current bid. The Customer’s bid shall be higher than the current bid by at least the increments included in the below chart. For example, if the current bid is EUR 700, the Customer may only submit a bid of EUR 750 or higher. 5.3.4. There is an automatic bidding function available on the Website. The Customer may set that this function automatically submit a bid on his/her/its behalf as soon as another Customer submits a bid on the selected Pigeon. The automatic bid shall be higher than the current bid by the increment specified in Section 5.3.3. By setting this function, the Customer adds also the highest price he/she/it is willing to pay for the selected Pigeon, thus the highest possible bid the automatic bidding function may submit. The Customer may uninstall the automatic bidding function at any time during the auction. Should two or more Customers’ automatic bids concur with each other, the Customer with the highest possible bid will have the new current bid. This new current bid will be higher by the increment specified in Section 5.3.3 than the second highest possible bid set by the concurring Customer. For example, if the current bid is EUR 1,800, and Customer1 sets his/her/its highest possible bid at EUR 2,600 and Customer2 at EUR 3,000, the new current bid will be EUR 2,800. Should two or more Customers’ automatic bids concur with each other and should they set their highest possible bid identically, the Customer who has set his/her/its highest possible bid first will have the new current bid. 5.3.5. The Customer may request that the Website send an automatic e-mail notification to him/her/it if another Customer submits a higher bid (“You have been overbidden!”). Such notification can be requested under the Account/My Auctions page by clicking on the option “I would like to get e-mails when I’ve been overbidden”. The Customer may uninstall the automatic e-mail notification at any time. 5.3.6. Should a bid be submitted before the end of the auction and within a timeframe determined by OPTIMA 2747, the duration of the auction concerning the Pigeon the bid was submitted for shall be extended by 10 minutes. Should a bid be submitted during this extension period, the duration of the auction concerning the Pigeon the bid was submitted for shall be extended once again by 10 minutes from the time the bid was submitted. 5.3.7. At the end of the auction, OPTIMA 2747 publishes the auction’s results on the Website. (iii)	the prepayment invoice concerning the Pigeon. OPTIMA 2747 does not take any responsibility for any malfunction occurring in connection with the automated e-mail system. 5.4.2. 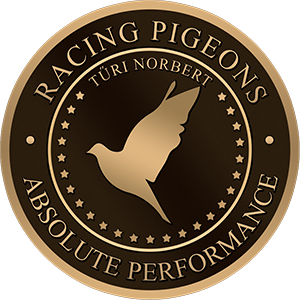 The contract concerning the Pigeon with the conditions specified in these T&Cs is concluded at the current bidding price (the highest bid at the end of the auction concerning the Pigeons) between OPTIMA 2747 and the Customer who submitted the current bid through the confirmation of the order. The payment deadline is 14 days from the confirmation of the auction’s results included in Section 5.4.1.